I am working with a super fun sketch today. It's Anya's sketch for this week's Viva La Verve. Click HERE to see all about it. I hope you get to play along this week. 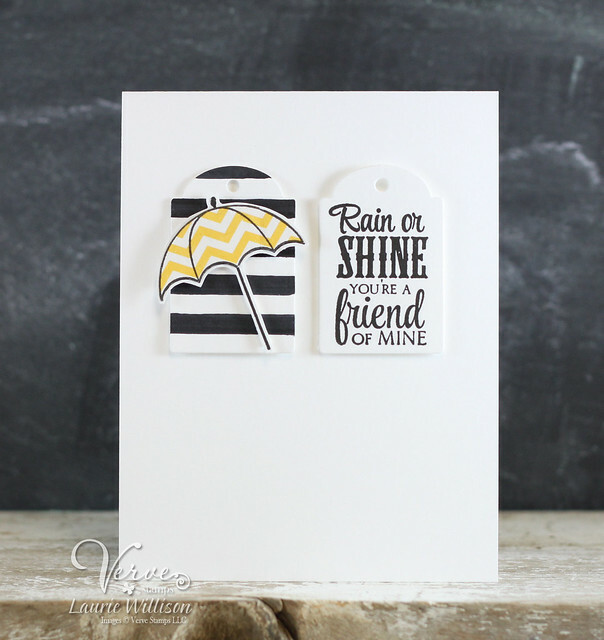 Stop over to the Viva La Verve thread and link up your card! I took a BG11 Copic and the blender and blended out the color in the sentiment. I added a wooden feather to finish it off. 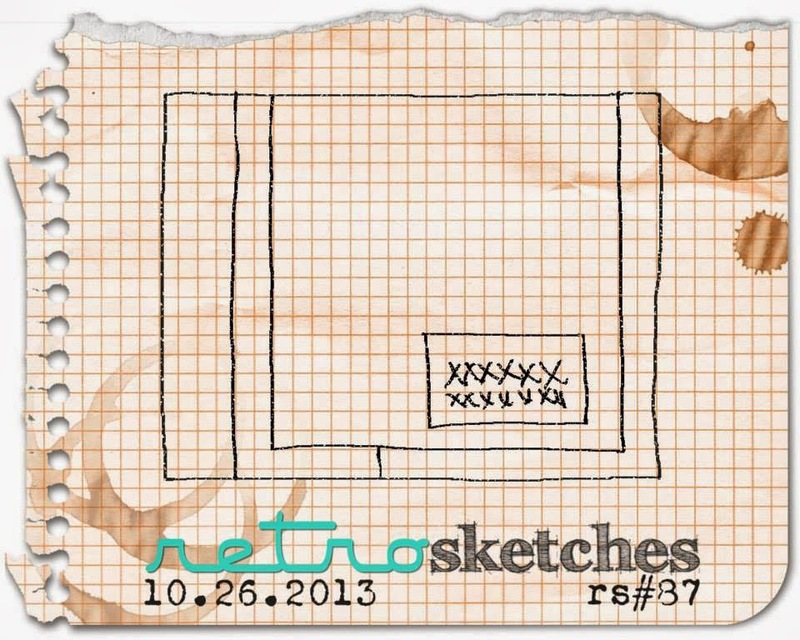 Stop over to the Retro Sketches blog to see all DT creations and to link up your own! Thanks for stopping in! I am so sorry to be super late with this post but I got home late today and found that it didn't go live for some reason. It's release day today over at Verve so I hope you can hop along with us as we celebrate our brand new October Release, which is now available in the Verve store! 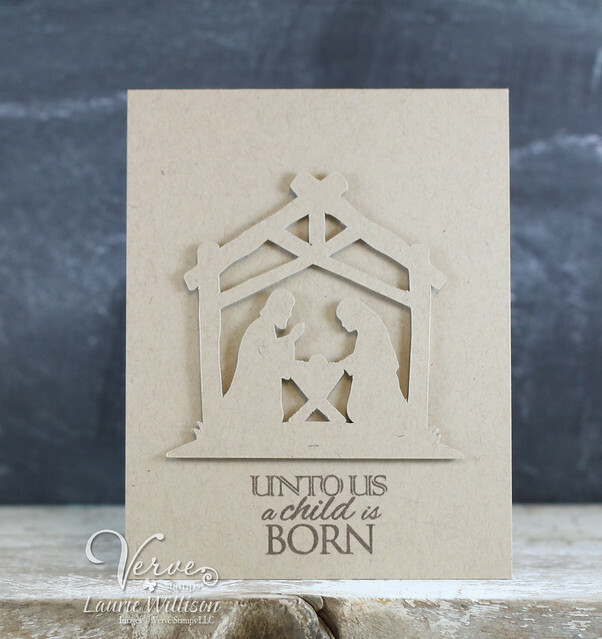 I used one simple sentiment on this card from the new set called Unto Us. I added in a Cameo Die cut to finish it off. I love these gorgeous Christmas sentiments from this set. I kept this one simple, and kept it all in kraft and brown. We'll be drawing a random comment winner from all of the comments along today's hop to win our ENTIRE October release, so be sure to leave a little shout out at each stop as you hop around! This set has 2 coordinating dies. One snowflake and one for the reindeer. 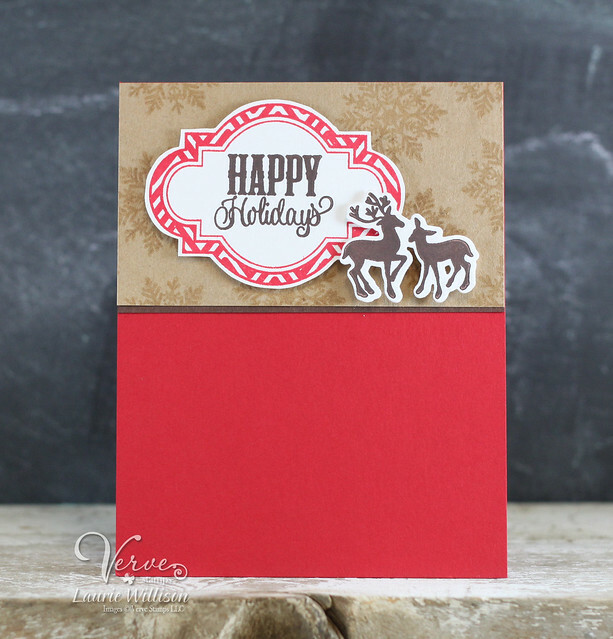 I stamped the snowflake in the background with Versamark and then added in the label and reindeer using foam tape. The sentiment on this card is from Holiday Treats. The snowflakes in this set are SO cute! I stamped them with white ink onto the kraft paper. I added in a gorgeous sentiment from the same set. 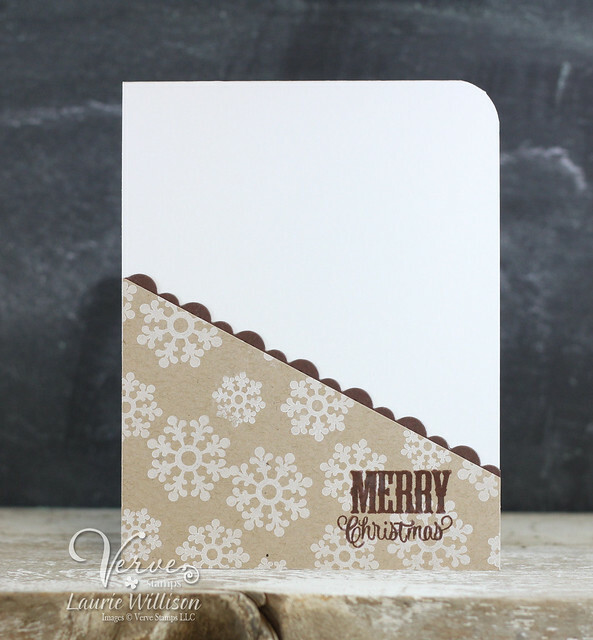 The little scalloped border is one for Scalloped Trim die set that is available in the Verve store. I love this rustic Christmas color combo. 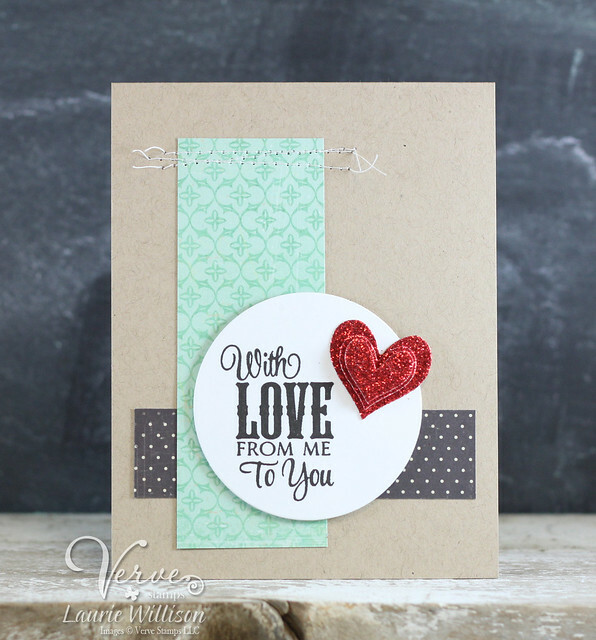 I simply stamped the sentiment on the circle and added on a stack of the hearts. I used glitter paper and foam tape and just stacked them up. For the background, I sewed on on some pattern paper to the kraft base. 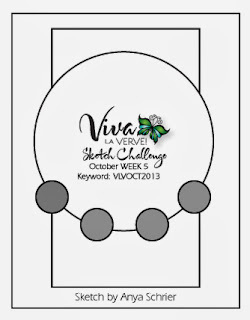 It's time for another round of Diva Dare over at the Verve Blog! I needed a birthday card for a little girl. 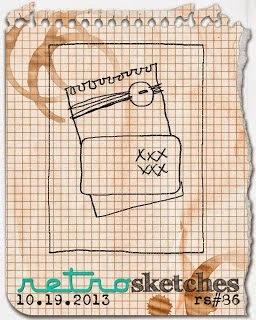 I thought that this week's Retro Sketch was perfect for a fun little card. 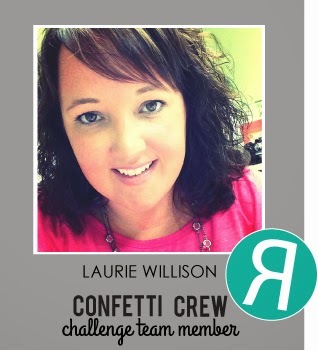 AND I busted out some ribbon! 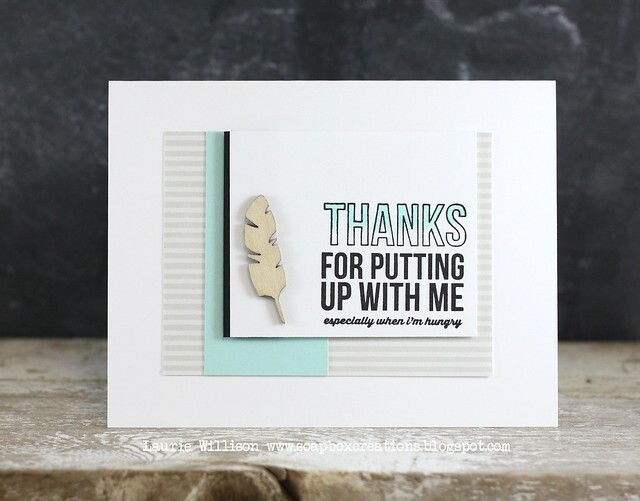 I cut out 2 pieces of card stock and layered them up with a cut out sentiment and even an embossed sentiment. Fancy for me huh? This sentiment die is amazing. I ran it through the Xyron sticker maker to attach it to the card. I tried to do the first one with little dots of glue...it was a disaster. The Xyron is the way to go! Then I added in a bow and some enamel dots to finish it off. I think ribbon needs to make a come back. It took me awhile to make this bow but I may have to make some more here soon. Get back into practice. 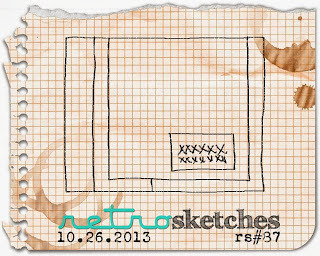 Stop over at the Retro Sketches blog and see what the girls have made up this week! And link up your card too!